George Kampis (Mr.) has been acting as founding chairman and Professor (since 1994) of the department of History and Philosophy of Science at Eötvös University in Budapest. Holds a PhD and a Habilitation in Biology and a D.Sc. in Philosophy of Science. Main research interests in Artificial Life, cognitive science (Director of the Budapest Semester in Cognitive Science, complex systems and evolutionary modeling. He was guest professor at Hokkaido University, Fujitsu Chair of Complex Systems at JAIST (Japan Advanced Institute for Science and Technology, in 2002/3), Wayne G. Basler Chair of Excellence at East Tennessee State University in 2007, and Fulbright fellow at Indiana University in 2009. 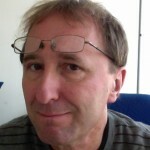 Dr Kampis has about 150 scientific publications, and he is the author or editor of several books with international publishers Elsevier, Kluwer, and Springer. He has joined DFKI in 2012 as a Senior Researcher.